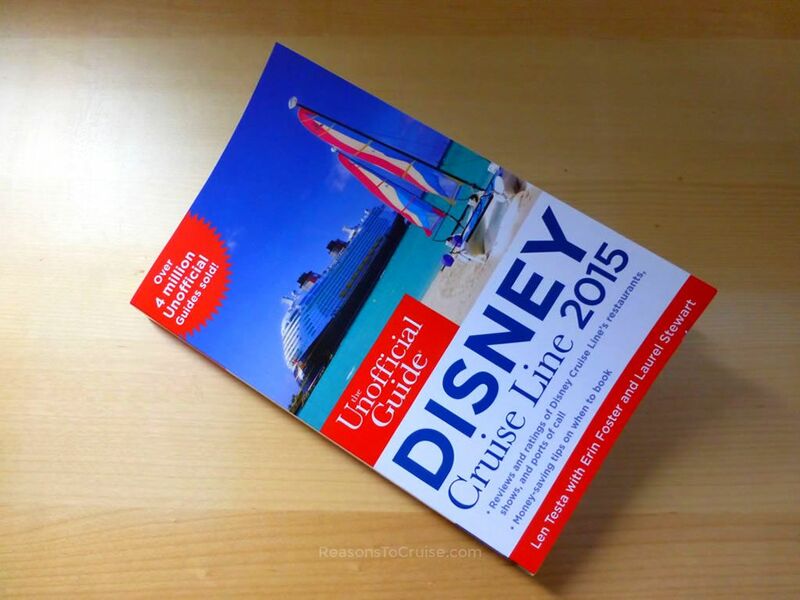 Earlier this year I stumbled across a book entitled 'Unofficial Guide to the Disney Cruise Line'. The book claims to be a complete guide to all things Disney Cruise Line, but do you need to buy a book that only covers a small fleet of just four ships? Having Tweeted about the book, lead author Len Testa got in touch and kindly sent me over a copy so I could have a good flick through it. I was surprised by the size of the book. I imagine I could easily compile a compendium on Royal Caribbean's 25 ships in service, but for a far smaller cruise line like DCL with just four ships, I didn't expect the book to be the size it was - in total it spans 336 pages. The book splits into twelve easy-to-navigate sections. Part one looks at the financials of taking a Disney cruise, with or without children. It discusses what is, and is not, included in the cruise fare. Part two looks at the itineraries on offer along with cruise-and-stay options. The authors make some suggestions on the best routes on offer and explain the options available should you wish to combine a cruise with a land-based holiday. This chapter also looks at the process of booking a cruise, biased towards American readers. Part three discusses the available stateroom cabin categories. The section features cabin schematics for every grade of cabins on each ship, along with a guide of cabin facilities. Part four deals with the excitement that is boarding day, the basics onboard, and what happens on disembarkation day. Here the authors discuss transport between the airport to the port, and the best hotels to stay in the night before - particularly useful if you are flying transatlantic. The chapter discusses 'The Key to the World' stateroom card, tips on what to do on your first afternoon aboard, and the mandatory lifeboat drill. The authors explain 'The Personal Navigator' and the various services available. Part five looks at the types of traveller likely to take a Disney cruise holiday. It is a myth that Disney cruise holidays are just for families and this chapter aims to provide information for various other types of travellers such as solo cruisers, pregnant women, and senior citizens. Part six looks at the choice of four ships available in the fleet. Browse deck plans and detailed guides on what is offered onboard each ship in the Disney fleet. Part seven discusses the dining options onboard. Food is such an important component of any cruise, so it is only deserving that this occupies a chapter unto itself. The authors explain the rotational dining system used on Disney cruise ships, the dining venues, the dress codes are for each, and how to make reservations. I particularly liked the detailed restaurant reviews and the dining recommendations. Part eight looks at the entertainment and nightlife. The chapter discusses (and rates) the shows onboard each ship, the themed nights, and the special entertainment laid on for the major holiday events across the year (e.g. Christmas, Halloween, etc.). The chapter moves on to discuss nightclubs, bars, cafés and lounges. Similar to the restaurant reviews, the authors offer their top tips for each venue. Part nine explores the range of activities, recreation, and shopping opportunities available onboard. Family-friendly activities dominate, with detailed information on the Nursery and Youth Clubs available. The handy 'height and age requirements' table is particularly useful to identify key restrictions for the clubs, the slides, and the swimming pools. This chapter also looks into the boutiques, seminars, sport and fitness options, and the spa services. Part ten looks at Disney Cruise Line's private resort, Castaway Cay, which appears in many Caribbean itineraries. This chapter is incredibly useful if you have never visited the island before as it explains what to expect when you are there. There are loads of suggestions on what to do and where to relax, and there is also a handy double-page map so you can plan your trips. Part eleven moves on to look at the ports of call Disney Cruise Line will visit this year. The authors examine each port of call, with a concise explanation of the history, the climate, the location, plus the best things to see and do. Lastly part twelve looks at the shore excursions (Port Adventures) the cruise line offers its guests. Some people hate organised shore excursions and see them as a waste of time and money. I think they are a great option for first-time destinations so as to get a good feel for the place in a limited time. This chapter briefly touches upon them for Castaway Cay and a couple of other key areas. The authors then offer a selection of do-it-yourself shore excursions which take in the essential sights and sounds of many ports in Alaska and the Caribbean. Besides the main parts of this book listed above, there is also a small photo gallery at the front of the book, along with a brief guide to Disney Cruise Line and the authors of this book. At the back of this book, you will find detailed cruise ship itineraries along with handy regional maps showing each of the ports of call. This book assumes no prior knowledge but does not read as if it is trying to lecture you either. I know how a cruise holiday works, but even I was glued to this book, from cover to cover, and I learned so much. I loved the incredible depth of content, on a wide variety of topics, onboard and ashore. Due to its unbiased nature, the book suggests money-saving alternatives, services you should make every effort to use, and aspects you should avoid during your cruise for a hassle-free holiday. It is crammed with handy insider tips too, in stand-out boxes dotted around the book. It is the useful advice, hints, and tips that can help squeeze the very best out of a Disney cruise holiday. The book also acts in part like a cruise line brochure on steroids, with detailed guides on each port of call, and a complete guide to all the itineraries on offer. I liked best that this book lives up to its title - it is a guide in the good old-fashioned sense of the word. If it were a person it would be holding your hand and guiding you along - it wouldn't nanny you or patronise you but instead give you a gentle and helpful nudge here and there. It does not matter how experienced you are if you want a one-stop guide on all things Disney Cruise Line, this book is for you. As with the very best travel guides, you can easily dip in and out of chapters to find exact information. Quite often I found myself flicking through a chapter and then becoming engrossed and reading far more than I intended. It is an addictive book that avid DCL fans will go back to time and time again. I would have loved to see more photographs, although admittedly this would affect print costs and therefore the retail price. It would also bump up the page count from an already impressive 336 pages. Bear in mind that the majority of those pages are crammed full of text, so this book offers terrific value for money as-is. 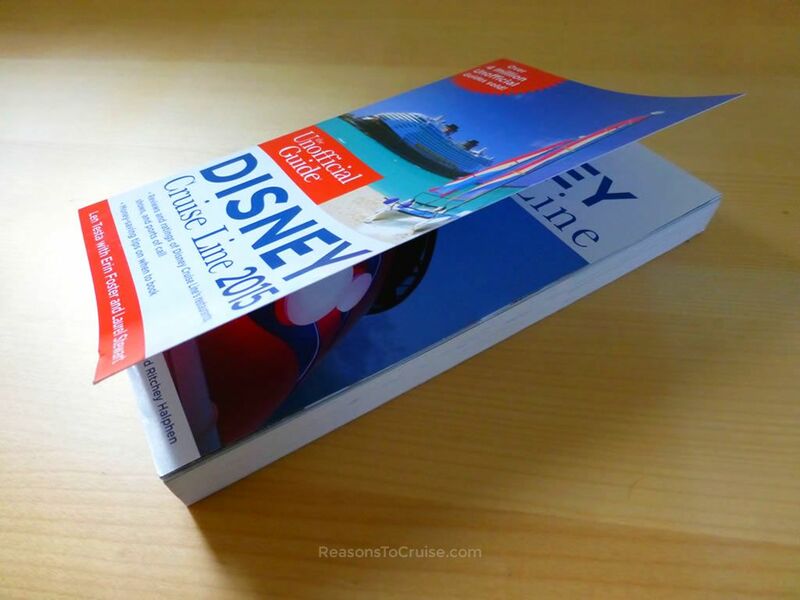 Anyone with interest in Disney Cruise Line will benefit from flicking through this guidebook. It does not matter if you are looking for information on what to expect onboard, tips on ship life most cruisers do not know about, or information on ports of call, you will find everything included in this guide. Whether you are travelling alone, with children, or on a multi-generational family holiday, you will find tips for everyone in your party. It is very clear that the authors - Len Testa, Erin Foster, Laurel Stewart and Ritchey Halphen - all know their stuff on all things Disney Cruise Line. It comes through not only in the main bulk of the writing but also the insider hints and tips that litter the book. Yes, this book is worth buying and better still, is an absolute bargain with an RRP of just $17.99 (&thickapprox; £14) for 336 pages of detailed content. It is an ideal companion for those that have booked a Disney cruise and wanted to learn insider tips ahead of their sailing. Likewise, if you are contemplating taking a holiday with Disney Cruise Line, I would highly recommend picking up a copy so you can get a better understanding of what to expect on this type of holiday. The book Unofficial Guide to the Disney Cruise Line is available from Amazon in either a paperback or Kindle format. If you are considering a cruise-and-stay holiday with a break at Walt Disney World Resort in Orlando, Florida, Len Testa has also co-authored a second guide. The Unofficial Guide to Walt Disney World, at 864 pages, will provide you with detailed information for a memorable, stress-free holiday in the States. UPDATE: The 2019 versions of Unofficial Guide to the Disney Cruise Line° and Unofficial Guide to Walt Disney World° are available, in paperback and Kindle formats. Have you read this book? Did you buy it before, or after, booking your Disney cruise? Leave a comment below. Disclosure: I was sent a complimentary copy of the book by the lead author. My opinions are my own. This is a great book that goes into incredible depth on all four ships, the ports of call, and the itineraries. If you are planning a Disney cruise, read through this first to get the most out of your holiday.